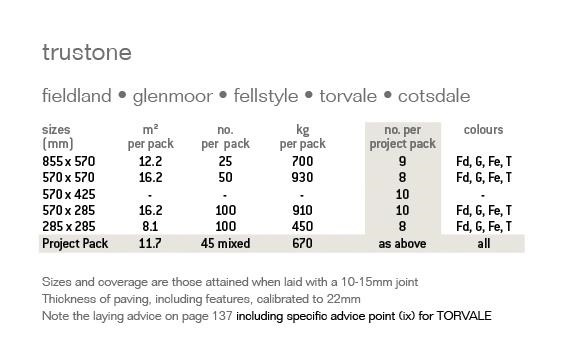 Stonemarket Trustone Cotsdale paving is part of the ethically sourced Fairstone range. A sandstone sourced from soutern India, Cotsdale has graduated colour shades from buff to light brown and is hand selected for colour and dimensional accuracy. Suited for more traditional property types, this product would still feel at home in a more modern design. Availavle in 5 different sizes and also available as a project pack. Available in the following sizes (All measurements are in MM): 855 x 570 | 570 x 570 | 570 x 425 | 570 x 285 | 285 x 285. Available as a project pack.